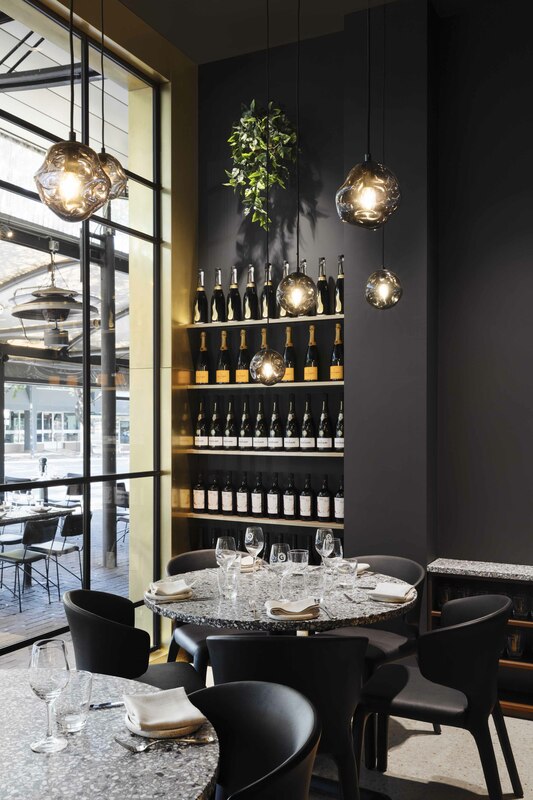 Dean Dyson Architects has designed the interior for 400 Gradi South Australia, a modern Italian restaurant and bar, situated on the leafy Parade in Norwood. 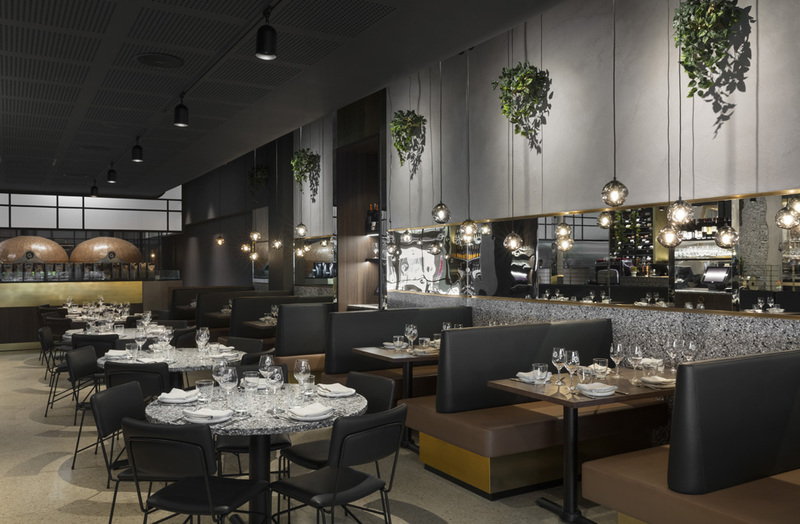 At the heart of the design concept for 400 Gradi is the creation and exploration of spatial drama and illusions, inspired by the idea of theatrical experience. A large sculptural void is calved out of a monolithic concrete façade to form a narrowing entry approach. 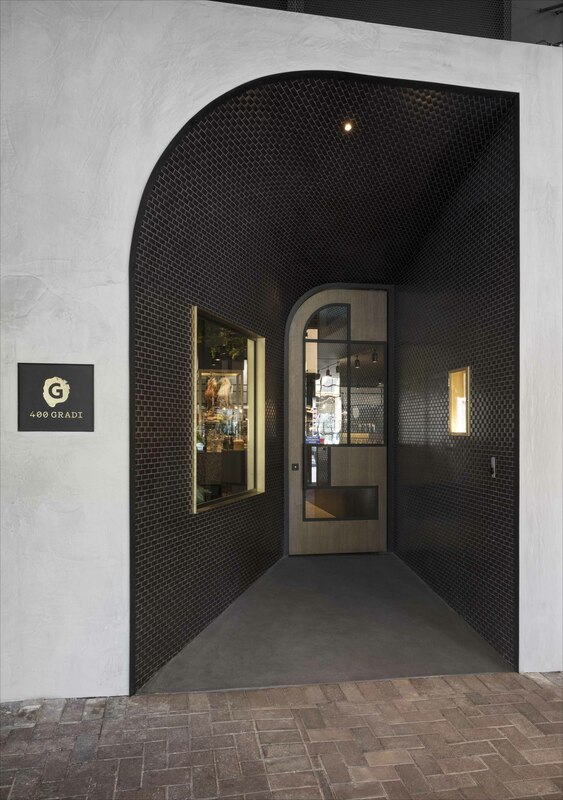 The curved vaulted ceiling starts high and tapers down towards the Gradi door; a purposely designed experience to build a sense of suspense and surprise to create a portal-like journey into another world. 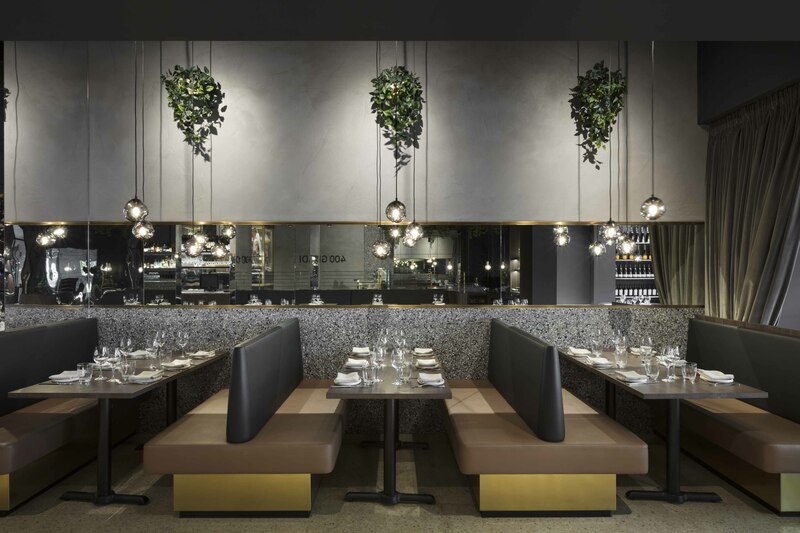 A carefully and spatially broken down interior provides a series of dynamic and unique sensory dining experiences within the restaurant. Each space is created with absolute purpose, designed to provide either a relaxed, intimate, formal or playful dining experience. At the heart of the restaurant is of course food. A stunning brass salumi cabinet is used as a centrepiece and visual focal point displaying fresh produce upon arrival. The theatrical nature and activity of the bar and salumi station are designed as a focal point and encourage visual interaction with the theatre of food from all areas of the restaurant. A blanket-like ceiling drapes across the central dining space providing a spatially intimate and formal feel. The use of mirrors expands the visual length and depth of space creating visual illusion and intrigue within the restaurant. 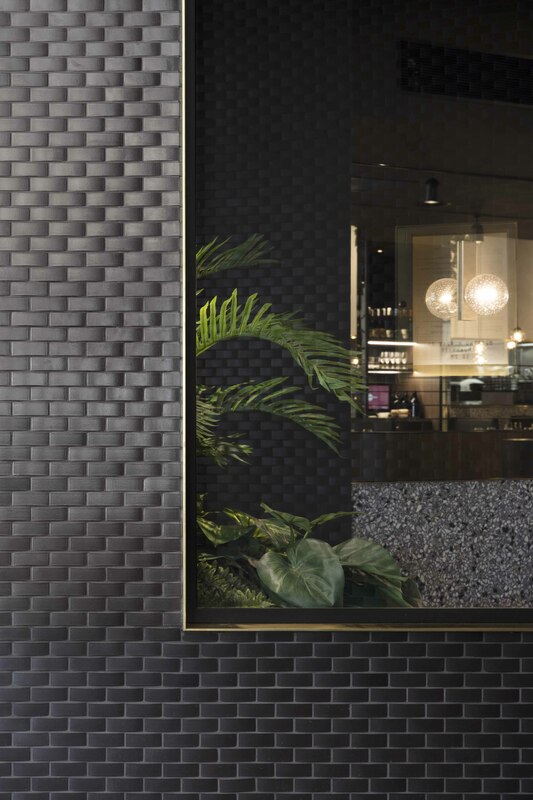 Brass detailing and terrazzo surfaces create an elegant yet playfully dynamic interior that’s paired with a natural concrete wall finish to add an industrious feel. Sculptural handmade glass light fittings waterfalling over fixed booth seating from the high ceiling above form the weightless experience. The restaurant brings together design and dining experience, transcending from the exterior to the interior.